When it comes to the popularity and quality of service, PrivateVPN and Private Tunnel are very similar. Because of this, it can be tough for a user to decide which VPN to opt for. One provider has to be better, if not completely, then at least in those areas that interest you, the future user, the most. 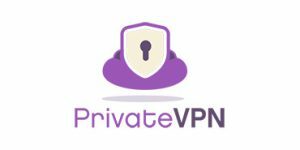 Private Tunnel is the brainchild of OpenVPN Technologies Inc, a company made to support the development of the famous OpenVPN protocol. Private Tunnel is designed to provide reliable connectivity and optimized security to its users. U had a nice fixed bandwidth package that would have lasted me for years.Because I accidentally signed up for a trial account, the bandwidth package was lost (they admitted this was a bug in their website).They won't reinstate my bandwidth package, saying that it is impossible (really, with all the expertise they can't edit a bandwidth counter? ).The problem is that they don't want to, they would rather have me sign up for an overpriced monthly subscription.Super customer unfriendly, would not recommend. The data service itself is... OK. Sometimes was really slow, and some sites wouldn't accept traffic from their POP's. Was able to connect about 95% of the time. I'd say choppy/slow about 30% or so, though I'm a latenight user m'self. The real downfall, though, is the customer service. I bought a "no expiration" data plan when they first got started and haven't finished using all my data. They changed their business model but won't honor prior agreements. Many appeals to sales@ and support@ with requests for them to honor the agreement THAT I PAID FOR were ignored and what I got instead was "cancelled." They cancelled my "no expiration" account while I still had data on it, and still no consideration for the fact that I bought something from them and they are refusing to deliver it. If you're a #classaction #attorney looking for a class-action #target, may I suggest PrivateTunnel? I'd make a stink about it on principle, but honestly, my stress is worth more way more than their crappy data. I wasn't going to renew with them anyway, but I'd still like to use what I paid for. I like the trial thing. It's the best way to see if somebody will like the vpn or not. I'm not all that into the whole IT craze and couldn't learn anything from the site. At least the support guys were quick on their feet.